The legendary anime director Hayao Miyazaki of Studio Ghibli is definitely among the most, if not the most, famous anime creators to date. Every anime enthusiasts surely know his reputation. Even people who are not into anime also have heard of his name. No doubt many fans will love to see more of Miyazaki’s masterpieces like Spirited Away, Princess Mononoke, and My Neighbor Totoro. Miyazaki fans would feel pretty disappointed when Miyazaki announced his retirement after the anime The Wind Rises (or Kaze Tachinu) in 2013. But fortunately, just recently Miyazaki renounced his retirement and instead, he is working on his true final film. So what’s this final Miyazaki film? When will it premier? Let’s find out! The legendary director Hayao Miyazaki as we know today didn’t exactly have an easy childhood path. He was born in 1941 at Bunkyō, Tokyo, Japan, and as we all know: this is the time of World War II raging across the world. During his childhood, he and his family had to evacuate to various locations due to the bombings. No doubt, this has affected a lot to his growth and later on, Studio Ghibli’s films. Miyazaki started his anime career as an in-between artist for Toei Animation in 1963. At these early days, we worked as both animator and also manga writer for several anime films. In 1971, he came to A-Pro and co-operated with Isao Takahata in various projects, typically Lupin the Third Part I. In 1973, Miyazaki moved to Zuiyō Eizō (which changed to Nippon Animation in 1975) and continued working there until 1979. After 1979, Miyazaki started to direct his feature anime like his first one The Castle of Cagliostro and the famous Nausicaä of the Valley of the Wind. In 1985, Miyazaki, along with Takahata, Tokuma and Suzuki started their own anime studio which is so loved nowadays – Studio Ghibli. 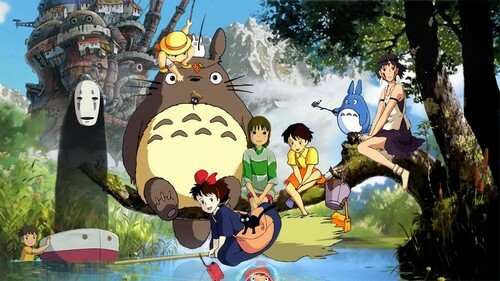 Founded in 1985, Studio Ghibli has come a long way and now it is probably the most prestige anime studio to date. The fame of Studio Ghibli cannot be denied, especially when 8 out of 15 highest-grossing Japanese anime films are from Studio Ghibli. The highest-grossing anime from Studio Ghibli is Spirited Away in 2001 and it was the highest-grossing Japanese anime film until the anime Your Name (or Kimi no Na Wa) by Makoto Shinkai. The name “Ghibli” was named by Miyazaki which was taken from Italian word “ghibli” which refers to the hot Mediterranean wind. This name also reflects Miyazaki’s hope for Studio Ghibli to bring the new wind to the anime industry. Judging from the studio’s successes, guess his hope has finally come true, not just in Japan but also the entire world. Most of the anime films from Studio Ghibli are written by Miyazaki himself. Because of that, Studio Ghibli’s anime are mainly influenced by Miyazaki style. Of course, all of Miyazaki’s films are always incredible and highly praised. Some of the critical Studio Ghibli films are: Laputa Castle in the Sky in 1986, My Neighbor Totoro and Grave of the Fireflies (by Takahata) in 1988, Princess Mononoke in 1997, Howl’s Moving Castle in 2001 and of course, the internationally famous Spirited Away in the same year. Politics: This theme exists in some of his early films like Castle in the Sky with the main character Porco Rosso. Yet nowadays, such theme seems nowhere to be found. Anti-War: Since the World War II has a big influence on Miyazaki, many of his films have this theme. His main characters always try to stop the war from happening, typically the film Nausicaä of the Valley of the Wind. Funny enough, when people claimed that this film is about Anti-War, he often said that he simply wished to entertain. Flight: This one is quite popular in Miyazaki’s films. There are always certain means of flight, such as glider and airships in Nausicaa of the Valley of the Wind, Totoro in My Neighbor Totoro can fly with his spinning top, or Howl who can transform into a bird and his flying castle in Howl’s Moving Castle. Environment: This is a recurring theme in several films. Films with this theme often raise concern about the nature. For example: the main protagonist San in Princess Mononoke is raised by wolves and she often gets mad at people who destroying the forests. Good and Evil: Each Miyazaki’s film is different, yet all of the films are implemented with Good and Evil somehow. The Evil is depicted by various antagonists in different films like Muska in Laputa Castle in the Sky or the Tolmekians in Nausicaä of the Valley of the Wind. 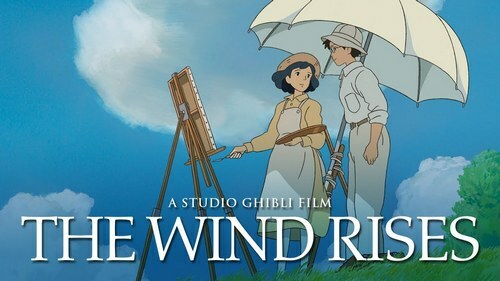 In 2013, Miyazaki said that he would retire after The Wind Rises. But as mentioned, recently Miyazaki decided to come back with his supposedly “final film”: Kimitachi wa Dou Ikiru ka (or roughly translated as How do you live?). The film is said to already start on October 1 this year and fans will need to wait 3 years until its release. That means we will have to wait until 2019-2020 to see what’s this “Miyazaki last movie” is about. So far, we know that this last film is based on a book with the same title, written by Genzaburô Yoshino (1899-1981). Genzaburô Yoshino is a journalist during the 30s when Japan was under the rule of the Imperial government. At the time, Imperial government was quite strict in journalism censorship. As the results, journalists had to find another way to express their opinions. In case of Genzaburô Yoshino, he found out that children book was the best way to do this since there was no censorship put on those types of book. 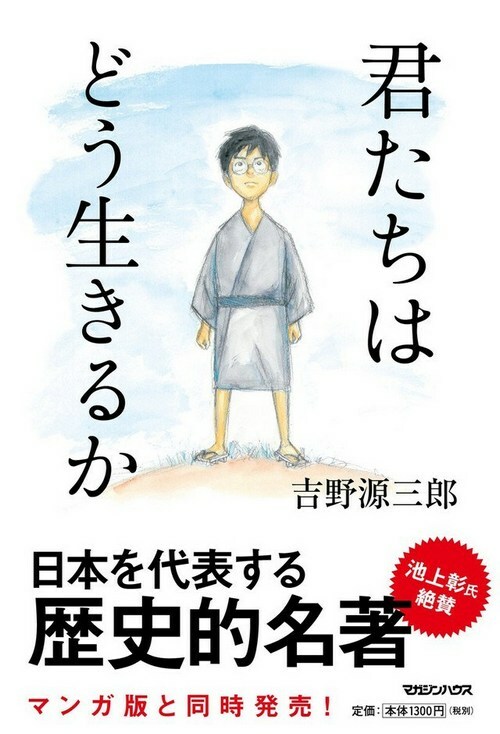 In 1937, Genzaburô Yoshino released a book named Kimitachi wa Dou Ikiru which told the story of a young boy named Honda Junichi. He is a simple student who has a pretty calm life. He often exchanges letter with his uncle and thanks to it, he gets to learn more about adolescence and the life around him. Gradually, Honda felt bored of his life, but his uncle challenged him to do more with his life. So, how is this related to the Miyazaki last movie? Miyazaki shared that: “The film is about how this particular book featured prominently in the protagonist’s life.” Of course, we still don’t know what kind of story Miyazaki will bring, yet we can expect it to base on the main concept of this book. Why Did Miyazaki Come Back? Some people often have this question since Miyazaki often renounces his retirement. After the release of Princess Mononoke, Miyazaki already retired. Yet, he still returned with Spirited Away in 2001 and continued to work on various later projects. In 2013, he also announced his retirement, again, and he said that he was serious at that time. But what do we know? He has just come back recently! These kinds of retirement statement may feel awkward, true! But Miyazaki is not the only who usually renounces his retirement. According to the Guardian, many other film directors also like to do the same such as Quentin Tarantino or Steven Soderbergh. Well, it’s hard to say why these film directors keep returning. Is it because of their pride as famous artist? Maybe? Is it because they want to train their successors? Possible! After all, that is a strange personality of these famous directors which we may never know. Well, who knows? Maybe the retirement is simply the time for our favorite director taking his time and getting used to the new things. 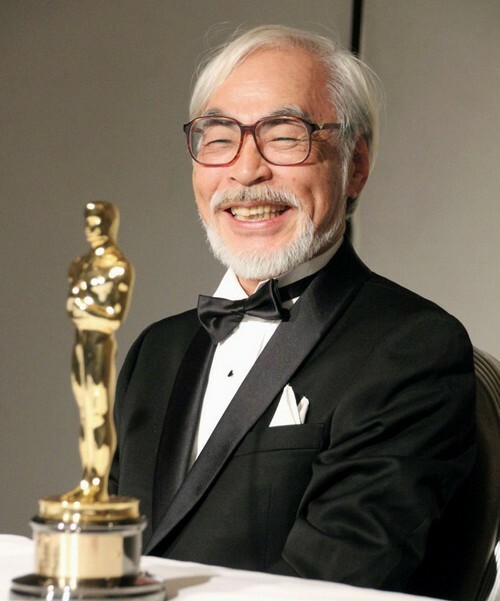 But nonetheless, we definitely want to see his “Miyazaki last movie”, expected to be released in 2019-2020. For now, thank you and stay tune for more news in the future! Anime vs Manga: Which One Is Superior? How to Make Anime? How an Awesome Anime is Made? The Three Great Dojutsu – What is Boruto Eye Power? How Strong Is Vegeta Now in Tournament of Power? Thought on Darling in the Franxx: Zero Two and Ichigo, Who’s At Fault? Young Heroes Assemble! Boku No Hero Academia All Class 1-A Quirks!